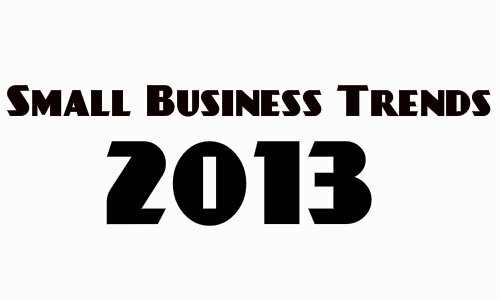 What does 2013 look like for small businesses? What are the latest trends and developments? What does every small business need, this year, in order to keep up? If you are a small business owner and don’t want to be left behind by your competitors you need to keep up the pace and you can never ignore the latest trends and developments. 2013 is, (yet another), year marked by the digital revolution. But you can’t just stop there either. Given that we live in a digital world, one year’s digital revolution looks very different from that of the next. So what exactly is it that your small business needs this year in order to keep up? Let’s have a look at the most important IT-trends in 2013. It sounds nice, even romantic. But if you dig deeper and ask people what the term ‘cloud computing’ actually means the answers you’ll get might themselves be somewhat cloudy. The cloud is most definitely not just a 2013 phenomenon. In fact, the aforementioned trend has been around for a couple of years now, but it continues to gain ground. Must Read: How Secure Is ‘The Cloud’? The Cloud principle is very simple: due to the enormous amount of data we generate every day, computer resources are now centralised and only available on the network on demand. 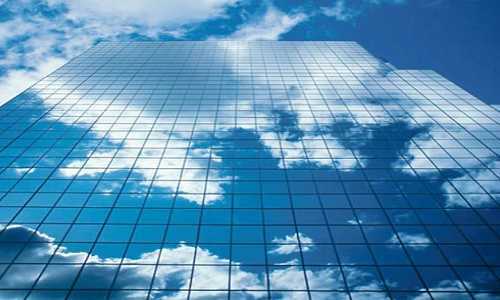 You can choose between the Public Cloud (internet) or the Private Cloud (company specific). This principle saves you money and energy, because administration becomes not just so much easier but also more efficient. Again, the above is not so much a novelty so much as an ongoing trend. So far, you might have gotten away with giving social media marketing opportunities a miss, however, 2013 is not the year of the dawn of social media, but, rather, it is THE year for social media. Thus, particularly if you run a small business you can no longer ignore the power of social media as a marketing tool. After all, it is logic, the best form of advertisement is no advertisement at all. In other words: you can say how great your products and services are a million times over, however, it only takes a potential customer reading about their greatness ONCE on Facebook, (on a friend’s page, of course), for this message to become a hundred times more effective. At the end of the day, we are humans and we trust the people close to us most of all. Therefore, if you haven’t done it so far, 2013 is your last chance to get on board and to pick up your shares, tweets and likes. Not engaging in social media is no longer an option, keep ignoring it and your competitors will leave you behind. We can’t ignore the fact we are fast approaching the advent of a post-petrol world. Whilst we are not quite there yet, it is about time we started to prepare ourselves. Renewable energies are becoming ever more profitable, and offer so many possibilities that as business you have to and will have to change and adapt to embrace them. Perhaps you are concerned about climate change, you’d like to make your business more eco-friendly, or you simply want to save energy and money you spend on business gas. There are many possibilities that, as a small business it’d be very much worth your while considering. They have been described time and time again as the backbone of our economy and in recent years, small businesses have become more and more important. In 2013 this tendency has continued to grow. Having finally understood that, in the current climate, no economy would be able to stay afloat if it weren’t for small businesses governments are now offering help and (financial) support packages, to this important sector. Therefore, if you are a small business owner or if you are considering starting up your own small company, 2013 might just be your year. Again, it may sound like old news, however, as a small business, creativity will be your most important weapon when it comes to survival. Admittedly, creativity is a hard concept to define, but irrespective of how you interpret it, all forms of creativity will help you. If you are a writer, web-designer or artist there is probably not much new that I can tell you about creativity. Nevertheless, regardless of the sector in which you work, if need creativity for your business, learning to apply the ‘think outside the box’ – mindset is an absolute must. There is unfortunately no one size fits all solution out there for those running a small business today, nor are there how-to guides for your specific situation or needs. Therefore, you need to be creative and find your own, unique road map if you want to succeed. Hi there. Really a great post. Social media is the rising trend in 2013. Very informative for small business holders. Thanks for sharing it. Getting involved in Social Media and online tools is inevitable these days. Some interesting info on SEO, Cloud, Social Media, and how to use it to grow your business at businessblog.bell.ca , lots to learn!